With the launch of Maximo 7.6 came some enhanced functionality around KPI’s. 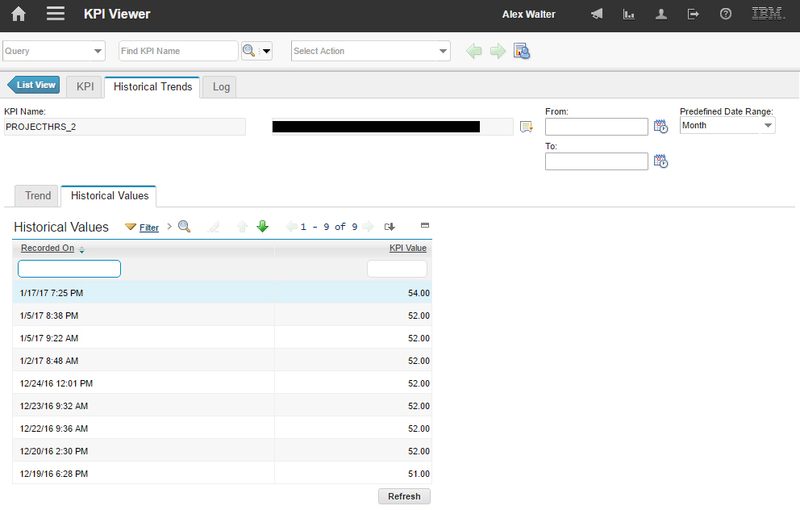 Specifically, two new applications were added to the product: KPI Templates and KPI Viewer. 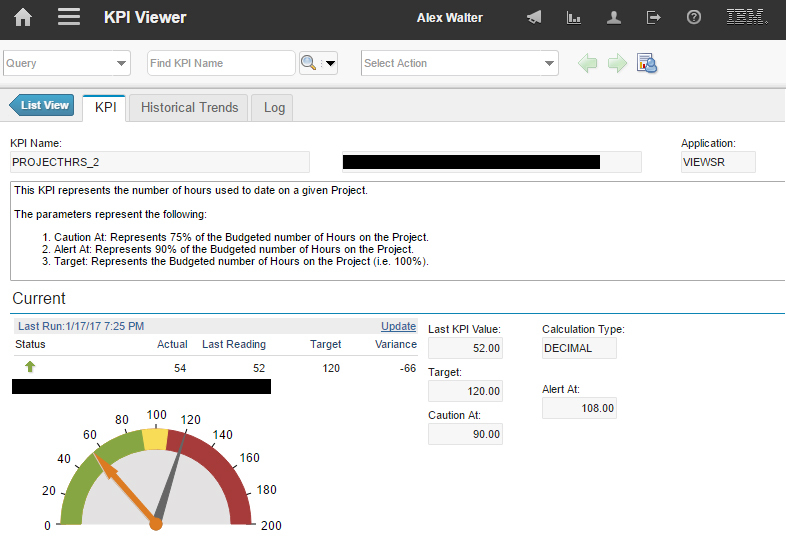 This article will cover the features of how to utilize the KPI Viewer application for your organization. For more information on the KPI Templates application, please sure to visit our related blog article. In the KPI Manager application. The KPI Manager application in Maximo is intended to be for administrators of Maximo to create and manage KPI’s for all audiences. This application was not suitable to standard users of Maximo, both because of its complexity and due to licensing considerations. Having too many KPI’s on the Start Center is both cluttering and a performance drag. Users are only able to view the KPI’s current value and see an indicator for its direction. No other historical information is provided on the Start Center. This is where the KPI Viewer comes in. Users now have an application where they can access read-only versions of KPI’s that they have specifically been granted access to through their Security Group authorizations. In addition to being able to view current values and targets, users have full access to historical data, trends and graphs. A new added feature allows users to create an email communication directly from a KPI, and logs that email in the Communication Log tab within the application. Go to the Administration > KPI > KPI Manager application. There are a few things to notice here. First, pay attention to the Is Public? checkbox. Any KPI’s listed in the KPI Manager application with that flag checked will show up in the KPI Viewer application for every user of Maximo. This is a subtle difference from previous versions, where the Public flag meant that you could use the KPI on any Start Center Template. Second, notice the Security tab. This tab is used to define which security groups can view which KPI’s. This is similar to assigning a KPI to a Start Center Template in previous versions. The last thing to notice is the Long Description. This text is displayed in a prominent place in the KPI Viewer application when looking at a particular KPI, so it’s wise not only to fill out the Long Description, but to be as verbose as is necessary to convey the meaning and purpose of the KPI to your intended audience. 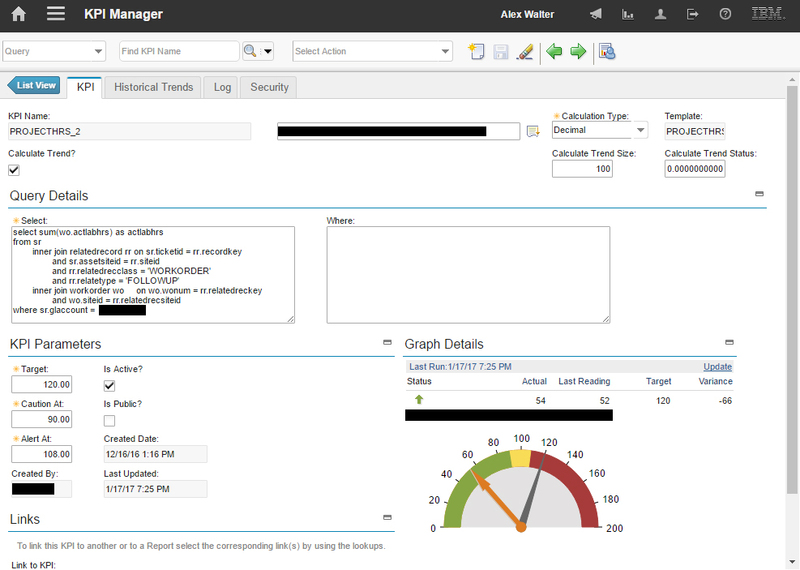 Log into Maximo as an end user. Go to the Analytics > KPI Viewer application. The first thing you’ll notice is the Long Description of the KPI from the KPI Manager application. This is where we can give context to the readings for the consumer of the metric. The next tab over shows Historical Trends. Finally! This is a feature that has long been available to administrators, but never to end users of Maximo. Users have the ability on the Historical Trends tab to view historical data in graphical or raw format (that can be downloaded into Excel for further manipulation). Lastly, we now have the ability to generate a Communication (i.e. 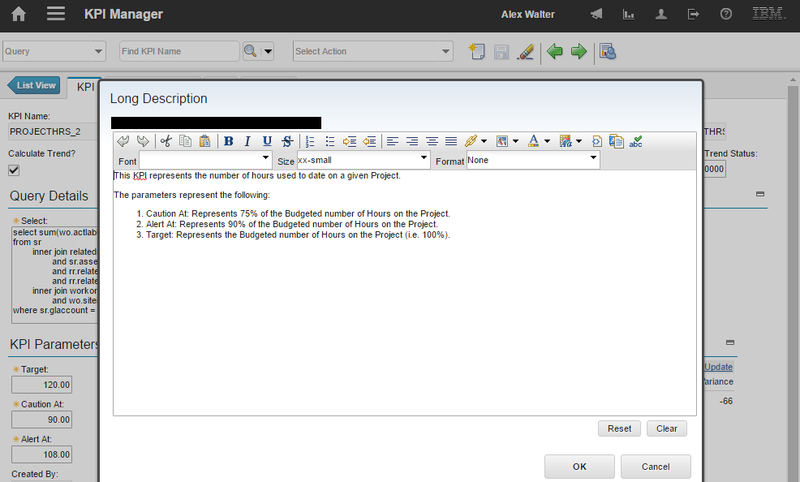 Email) from Maximo to other users, and capture that communication permanently as part of the KPI record in the system. I hope you enjoy all of the benefits of the new application!